Ribose Powder helps to restore the basic energy of your body to maintain its full charge during the day. Ribose is produced naturally in the body, although this process is very slow. 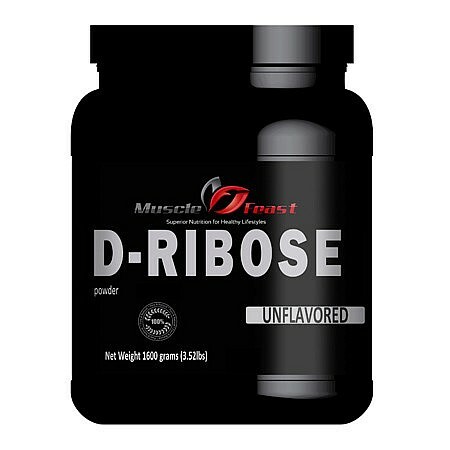 D-ribose powder can quickly restore and maintain depleted energy reserves and, as a consequence, the daily consumption of this additional powder reduces muscle stiffness, soreness and fatigue.As one of the most popular supplements among endurance athletes, ribose helps athletic performance, supplying the cells of muscle tissue with a continuous supply of adenosine triphosphate (ATP), which is known as cellular energy. Ribose is natural sugar, which can be found in all living cells. Ribose powder and related substances, deoxyribose, are carbohydrates, which are used for the formation of DNA and RNA, whereas the ribose forms of RNA and DNA deoxyribose forms.